For the UAE National Day Celebration 2011, San Francisco-based technology lab and creative agency Obscura Digital designed and orchestrated this impressive projection. 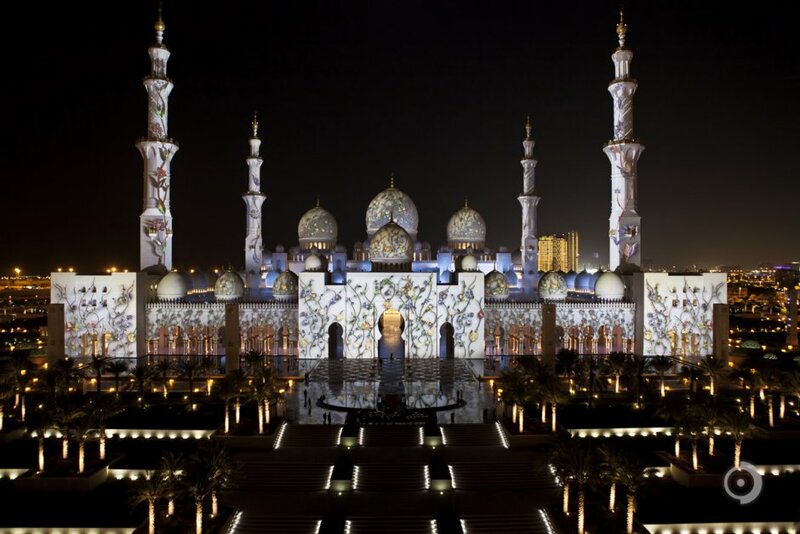 It consisted of the use of 44 projectors with a combined brightness of 840,000 lumens that covered a surface 600 ft wide by 351 ft tall. 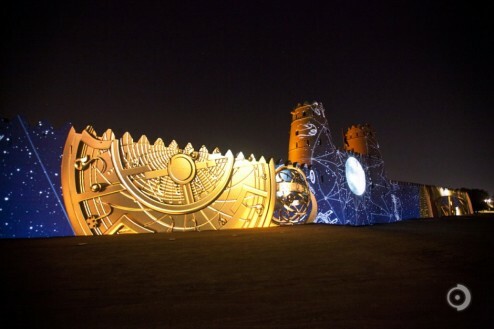 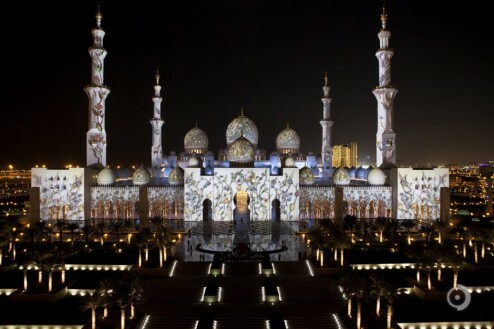 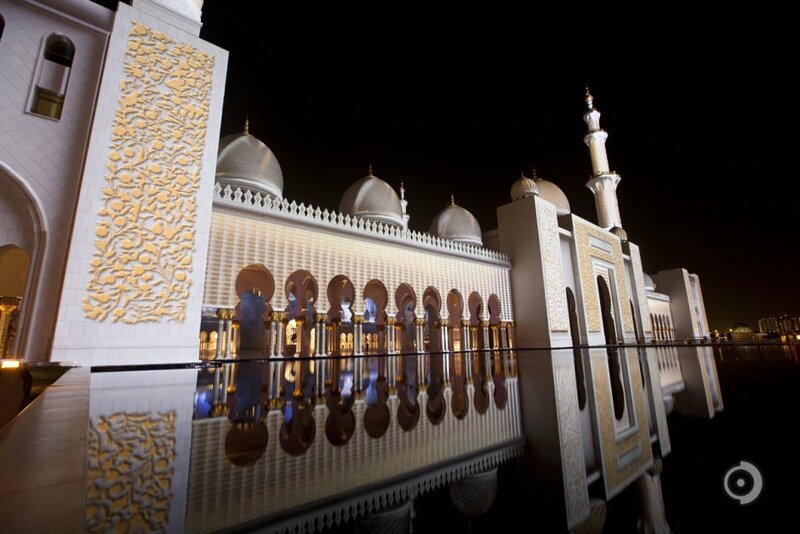 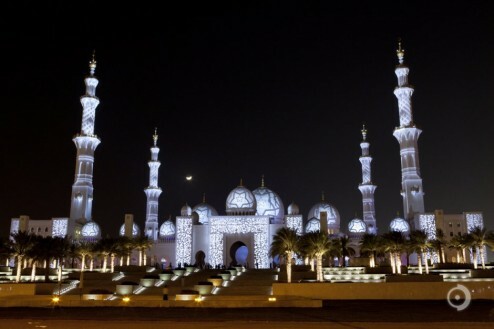 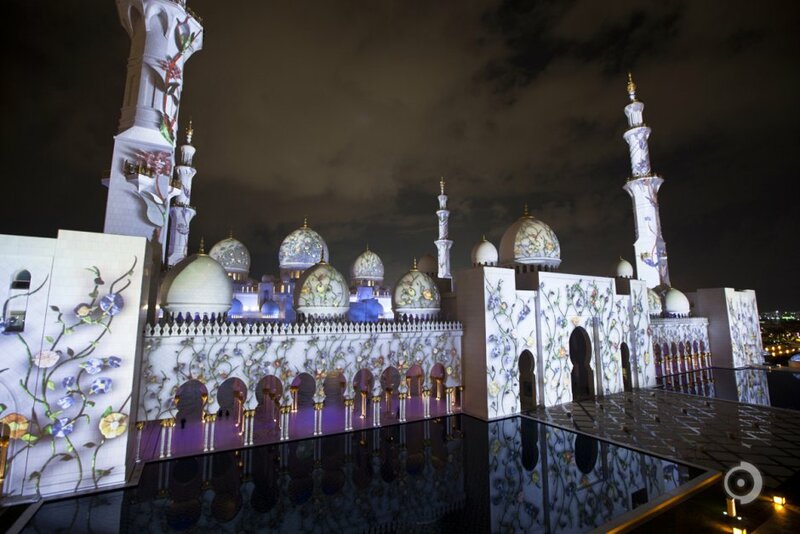 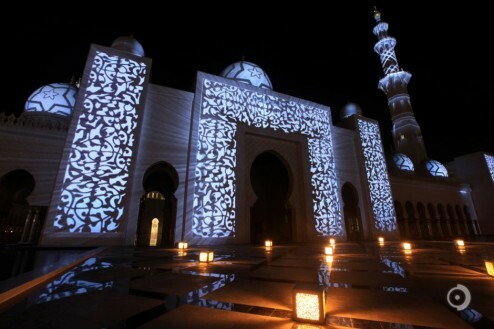 In tribute to the United Arab Emirates 40th Anniversary, Obscura Digital has been commissioned to create a first ever series of elaborate projections that illuminate two landmarks of national identity – the Sheikh Zayed Grand Mosque in Abu Dhabi and the historic Al Jahili Fort.